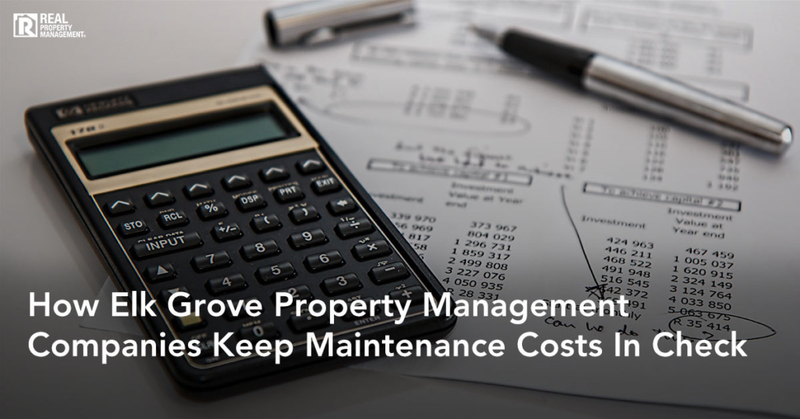 One of the biggest costs to owning an investment property is maintenance. Unlike your mortgage payment each month, maintenance can be unexpected and can range in price. The unknown is what causes concern for new investment property owners. While the unknown in any aspect of life creates worry, the top Elk Grove property management company, RPM SAC-METRO, has created the perfect recipe to put property owner’s minds at ease when it comes to expected and unexpected maintenance. Follow the Scout Motto: Be Prepared. SAC-METRO advises its clients to set aside one to two month’s rent amount per year to account for maintenance. Another way to plan for maintenance costs is to save one percent of the value of home, per year, for maintenance costs. If your home is worth $400,000 in Elk Grove, property management companies recommend you should have a maintenance savings account of $4,000 to cover maintenance on the home. Keep in mind that older homes may require a larger maintenance budget than new homes, but the one percent rule is an accurate guideline to follow. Property management teams in Elk Grove also budget for maintenance ahead of time by carefully thinking about the age of the appliances in the home and which ones might be in need of replacement during the coming calendar year. As a general rule of thumb, a refrigerator lasts about seven years, dishwashers and garbage disposals are good for about twelve years, microwaves last about eight years, stoves and cooking ranges for about sixteen, and washing machines and dryers should last for twelve to fourteen years. For a full list of appliances in your home and their expected lifespan, click here. Just as you perform regular maintenance and your vehicle, perform routine maintenance on your house in Elk Grove. Property management experts know that when you care for and show respect for your property, your tenants are more likely to care for the property too. Respond quickly to maintenance requests. This shows that you not only care about keeping your property in good working order, but also that you care about and value your tenants. And remember, happy tenants stay. Keeping your tenants happy is not the only reason you should respond quickly to maintenance. A quick response time generally cuts down on the amount of damage done by the item that is broken. For example, if a tenant reports a bubble under the paint on the wall, that could be a sign of a leaking hot water pipe. Time is of the essence when it comes to a leaking pipe, especially a hot water one. Finding a solution and acting on that solution quickly will save property owners money and will prevent further damage. When investment property owners join the clientele of SAC-METRO, they immediately get access to our preferred member pricing. We have tried and true maintenance technicians and companies that we hire on a regular basis that give our property owners discounts on service. They are licensed and insured for your protection. Our professional leasing teams have also been trained to follow routine property inspections to catch any signs of maintenance problems early. Finding a potential problem before it turns into a maintenance emergency has saved our clients thousands of dollars. Let the professionals at Elk Grove property management team, SAC-METRO protect your investment property. Call us today. If you are looking for a safe and stable investment, invest in property. Sure, the stock market might be easier to throw your money into and let some bigwigs on Wall Street manage your fund, but unlike the stock exchange, property is fairly stable, predictable, and can yield big returns on your investment. Yes, it takes a lot of work and education on your part if you plan to manage it on your own, but if you hire a property manager, you get to sit back and relax while they do the hard work and you reap the rewards. One of the best Sacramento property management companies, RPM SAC-METRO, has seen these large returns on investment come into the hands of their faithful clients. Below are some of the reasons why we believe property investments are the best and easiest way to make your money grow. The American dream of homeownership is changing for residents around the country. According to US Census data, between the years of 2006 and 2016, twenty-two of the nation’s largest cities have more renter-occupied housing than owner-occupied. Sacramento has just over 50 percent of its residents living in renter-occupied housing. As a resident of Sacramento or the surrounding areas, you have every opportunity to seize the moment and make your money grow in Sacramento. Property management companies are seeing renters migrating from the Bay Area over to Sacramento in search for a safer neighborhood, larger home and yard, and affordability. Years ago, the stigma that surrounded the word “renter” meant they had less money than homeowners. However, this stigma has greatly changed over the past ten years. A new study released by Apartment List found that during the past decade, the number of high income renters has increased to forty-eight percent, nationally. They define high income renters as those who make $100K or more. This means investors are now leasing their properties to tenants who have stable incomes, are more likely to be able to pay their rent each month, and who are able to care for the home. Renting is an attractive option for millenials who are constantly on-the-go and continually searching for better job opportunities, which may come at the cost of moving frequently. In addition, renters can receive tax breaks. If Senate Bill 248 was to become law, it would be the first time the tax credit for renters would be raised since 1979. This bill is aiming to help California renters who are struggling to pay rent as prices continue to rise. Sacramento property management companies expect single parent renters could see a tax credit ranging from $60-$434, while single people without dependants could see an increase of $160 in their tax returns. In the past year, rent prices in Sacramento have jumped nearly two percent, and that follows an eleven percent increase in the previous year. Investment property owners have never seen returns this great. People are always going to need a place to live. That is the way it has always been and the way it will always be. The real estate market can fluctuate, but the demand will always be strong. Property owners can find peace of mind knowing that investing in real estate has worked for millions of people before and is still working for them today in Sacramento. Property management companies see a variety of investment properties ranging from single family homes, to condos, duplexus, single apartments, entire apartment buildings, or office buildings. No matter your budget, an investment property is attainable for those looking to make more money. There are multiple ways to make money off of a property investment. Perhaps the most obvious is cash flow through monthly rent, but the best and easiest way is through property appreciation. The real estate market can be your best friend when you are presented with opportunities to buy low and sell high. During the market crash in 2007, many investors who stayed informed were able to capitalize on expanding their property portfolio by purchasing properties for cents on the dollar. Today, these properties are worth two times the amount they paid in 2007 through 2009. As an investment property owner, you are also eligible for tax benefits and write offs. Possibly the best reason of them all is that you do not have to be present to make money. Unlike a dentist, lawyer or doctor who only make money if they are present or are actively participating in “billable hours,” investment properties bring cash flow while the property owner is off living life to its fullest. This is not to say that property management takes zero time and energy, because it is quite the opposite. However, you can outsource your work to a management company. There are many Sacramento property management companies to choose from, but our highly recommended team at SAC-METRO has with more than 35 years of experience and can handle all things property management for you. Our management fees are competitive and because of our faster than average leasing times, our fees practically pay for themselves. So if you don’t feel like going to work today or in the future, no problem. SAC-METRO has your back. We keep the cash coming into your pocket whether you rise and shine in the morning or have a lazy day watching Netflix in bed. Call us today. If you are a homeowner in the Bay Area or a surrounding community like Sacramento, you are sitting on a gold mine. This should not come as news to you. If you have even poked your head out of the window for five minutes in the last ten years, it would be impossible not to notice how sky-high home and rental prices have become. But because home prices are at a near all-time high and mortgage rates are climbing, the affordability to potential homeowners has become obsolete. This is why America is seeing more renters than homeowners. Did you know that a UC Berkeley study discovered that between the years of 2006 and 2016, more than 3.8 million additional households became renters of single family homes instead of homeowners? No matter your circumstances, if you are looking to get out of your home, Sacramento rental property management company, RPM SAC-METRO, is certain it can help you turn your house into a cash flowing rental property. The Bay Area is seeing an exponential increase in the number of people seeking to move away from the highly congested region. A new study by Redfin found that approximately 24 percent of home searches conducted online by residents living in the Bay Area are looking elsewhere for housing. That is up from 19 percent the previous year. Some of the communities that Redfin reports residents are looking to move to include Sacramento, Portland, Seattle, and even Austin, Texas. 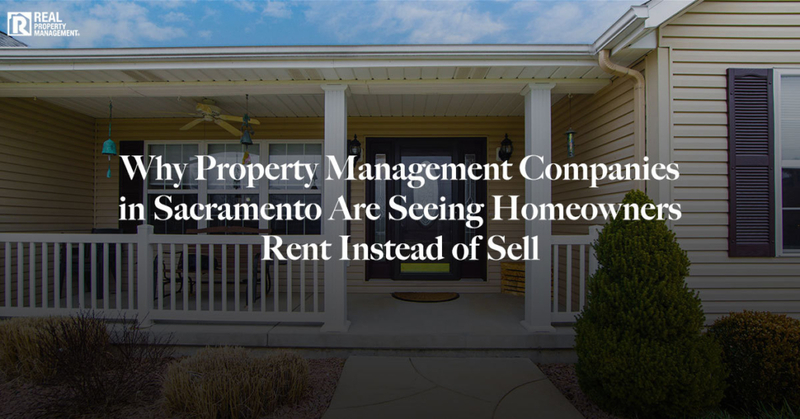 Sacramento rental property management companies are able to confirm these findings, as they have seen a classic supply and demand shortage, causing rental rates to rise. A report released by Hotpads found that rent prices in Sacramento rose faster within the last 12 months than in any other major city in the United States. An annual study that was recently released by Joint Venture Silicon Valley backs up the above mentioned findings. It reports that Silicon Valley gained roughly 20,500 foreign immigrant last year, while 22,300 residents relocated away from the area to other regions and states. Sacramento rental property management teams see this outward migration as a big opportunity for homeowners. While Sacramento is less expensive than the Bay Area, working professionals are willing to drive the distance. Employees are able to keep their current high paying jobs in the sought-after tech industry while sacrificing the quick commute so they can have a more affordable living space for themselves and their families. Sacramento real estate agent, Devone Tarabetz, states she has collected clients from San Jose, San Francisco, Oakland, Milpitas, and Petaluma within the past year. She states “affordability” as the number one reason for the relocation. The median home price in Sacramento in $360,000 versus $775,000 in San Francisco, although not all relocating individuals are buying. This is where things get exciting for Sacramento residents who are already homeowners: if you are looking to move, you can bet your bottom dollar that you can find a highly qualified renter to occupy your house, turning it into a cash flowing property. At SAC-METRO, we are one of the highest ranked Sacramento rental property management teams in the region, and we pride ourselves on finding quality tenants for our clients. Not only do we have a rigorous screening process, but an Apartment List study shows that the number of high-income renters has grown more than 48 percent nationally in the past decade. In Sacramento, it’s even higher with a 61 percent increase in high-income renters. The study identifies high-income renter households as those that earn at least $100,000 per year. So why are the wealthy renting instead of buying? It goes back to 2008 when loose lending guidelines lead to a mortgage crisis, forcing homeowners to foreclose on their homes they could not afford. Sacramento rental property management teams have seeing the aftermath of the mortgage crisis which has lead to tightened lending regulations and multiple barriers of homeownership. Another factor that comes into play giving Sacramento high income renters is that the Bureau of Labor Statistics found that annual wage growth was up just under two percent, while home prices are up more than five percent. If you find yourself looking to make extra money by renting out your house in Sacramento, you need SAC-METRO on your side. With more than 35 years of experience in the industry, we know property management. Future homeowners have been forced to wait longer before buying their first house due to the economy, and you, as a Sacramento homeowner can benefit from it. Clients can depend on SAC-METRO to handle all things property management – from marketing the home, to getting it rent ready, finding you the reliable and clean tenant that you expect, taking care of all maintenance scheduling and contracting on the home, and much more. Let us make you rich. Call us today. Rent collection is not rocket science, but it does take a lot of research and practice. Unfortunately, some people learn rent collection through trial and error. That hard way. Rancho Cordova property management experts at RPM SAC-METRO want to make sure you are not one of those people who struggle monthly with collecting rent. With more than 35 years of experience in property management, we know the ins and outs of how to maintain stable cash flow through a better rent collection process. If you want your monthly rent collection to get easier, keep reading for our professional advice. You know the song, “let’s start at the very beginning, a very good place to start.” Keep this famous song from The Sound of Music in your head when thinking about maintaining stable rent collection in Rancho Cordova. Property management teams know that having a rigorous tenant screening process can protect you from evictions in the future. Evictions that happen because tenants fail to pay rent. We know that evictions can happen for different reasons, but failure to pay rent is the number one reason for evictions. Carefully screening tenants means you call previous landlords to check for good references, run credit checks to make sure they have a good history of paying bills on time, and verify income proof to see if they have a stable job so that they can afford the rental price each month. Do not lower your standards for anyone. Not only will you regret lowering your standards if faced with an eviction, but you could also land yourself in a lawsuit for discrimination and not treating all applicants equally. “I didn’t know,” is an easy crutch for tenants to fall on when they fail to pay rent on time. Do not let this be an excuse used by your tenants in Rancho Cordova. Property management leasing agents should always communicate the lease agreement clearly and concisely. Within the first few paragraphs of a lease agreement, landlords should state the monthly rent amount, the penalty that follows if rent is not paid on time, and how and who they can pay rent to each month. Many tenants do not read word-for-word when signing a lease agreement, even though we require them do so. As the leasing agent or landlord, please clarify rent expectations at the time of move in, so that there is no room for confusion. If they don’t pay, they don’t stay. Even the most perfect tenants run into uncertainties that can make their rent payment late or obsolete. Due dates fly by without notice, jobs can be lost, checks get lost in the mail, or the death of a family member can happen, all of which can interrupt your rent cash flow. Rancho Cordova property managers do not need to be robots without feelings, but even with sympathy, they can enforce rent collection rules. Once again, do not make exceptions to the rule for one tenant without doing it for the other. This is where the gray area starts which can lead to a lawsuit. In an ever changing technologically advanced world, there is plenty of software and websites out there that allows landlords to automate their rent collection process. The rent checks flow in each month and if the rent check is not delivered, some programs issue alerts to automatically issue a Three Day Notice to Pay or Quit. These automated rent collection websites and softwares simplify the process by depositing the money straight into your bank account. No more deposit slips and calculator tape. 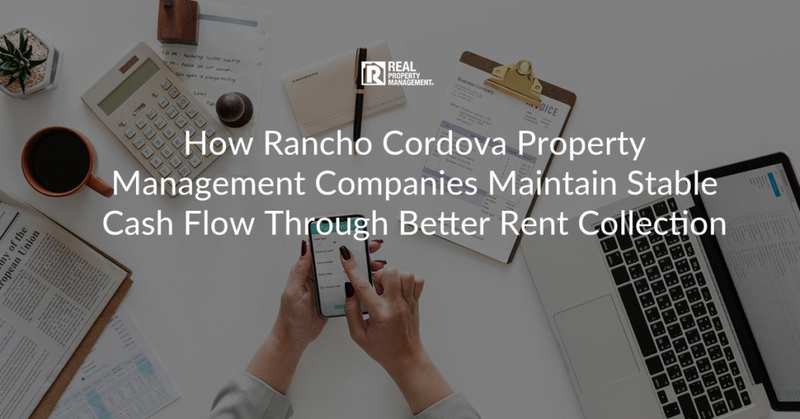 Rancho Cordova property management companies are seizing the day and letting technology do the work for them. At SAC-METRO, we know how much you appreciate on time rent payments. We do too. So why not let your tenants know. When SAC-METRO tenants pay rent on time, they receive discounts and coupons to local stores. These include grocery stores, clothing stores, restaurants and more. Nobody likes paying rent, so we are turning the tables and making paying rent something they look forward to each month. The professional staff at SAC-METRO follows all of the advice given above. We have a strict tenant screening process that guarantees our clients get only the best and most qualified people living in their homes. We communicate clearly and effectively with our tenants, not just at the time of lease signing, but throughout their entire stay at our property. The experts at our Rancho Cordova property management office are humans who have real feelings, sympathize with people, but still understand that this is a business and rent collection matters even when obstacles arise. We have an automated rent collection process that allows our clients to receive deposits into their bank accounts, so they get paid faster than ever. Everyone benefits from our rent collection process, tenants and clients. Call us today. You have just collected the mail and find your tenant has turned in an official 30 Day Notice to Vacate. If they are good tenants, you find yourself disappointed and maybe even stressed about the turnover process and if you will find tenants as good as the last ones. Having turnover in a home is a normal part of property management. Rocklin based company, RPM SAC-METRO, knows that having a vacancy in a rental property can leave landlords worried about making the mortgage payments on their own. The unknown of how quickly they will find a quality tenant and how to get the home rent ready can feel like a heavy burden. That is why SAC-METRO has a proven process that expedites the turnover process while getting the home rent ready, as well as aggressive marketing techniques. As soon as you receive the 30 Day Notice to Vacate, give your current tenants a receipt or letter to acknowledge that you have received their notice. We refer to this as the Acknowledgement of Notice. Be specific in your letter of the exact move out date, cleaning guidelines, how the disbursement of the security deposit will be allocated, and how they can turn in keys to their Rocklin property management team. In this letter, give your tenants the option to schedule a Preliminary Move Out Inspection. A Preliminary Move Out Inspection gives the landlord permission to enter the house and make notes of any repairs or replacements that will need to be done after the tenant vacates. If they choose to move forward with the Preliminary Move Out Inspection, you will have a headstart on the turnover process once vacant because you will be able to schedule the proper vendors and technicians to enter the home immediately, eliminating any down time for the property. If your tenant opts out of the Preliminary Move Out Inspection, you cannot enter the house until your resident has returned keys on the last day of occupancy. Rocklin property management is a competitive business. One that has too high of a price if you move slowly. If you have conducted a Preliminary Move Out Inspection, start calling and scheduling vendors for the first day of vacancy. If you did not complete a Preliminary Move Out Inspection, enter the house as soon as you receive keys. Change door locks, inspect all appliances and test them to make sure they are in working order. Check the condition of the flooring, walls, window coverings, bathroom vanities, kitchen cabinet and counters, glazing on the bathtubs and showers, and look for any signs of water damage. Inspecting one room at a time, and doing so thoroughly, will help ensure your house gets back to looking brand new for your next tenant. First things first, re-key the property. This includes door locks, garage codes, and mailbox keys. Property management Rocklin companies never know who may be holding on to an extra set of keys. Re-keying the property adds security. You will not be able to change locks to HOA gates, but double check that your tenant has returned all HOA keys that you issued them at the time of move in. If painting needs to happen, paint the entire wall instead of doing a touch-up. Too often touch-up paints do not match, making the walls appear patchy. It is worth your time or money to make certain the walls look clean and uniform. Hire a professional truck-mounted carpet cleaning system if carpets do not need replacing. If carpets are holding an unpleasant odor, consider replacing the padding under the carpet. Check the property for pests. If pest control is needed, schedule that vendor first. Getting rid of pests can sometimes take weeks or months, even with aggressive and proper treatment options. Test all smoke and carbon monoxide detectors to make sure they are functioning properly. Change batteries as needed. Spruce up the yard by trimming overgrown shrubs, replacing dead flowers or plants, mowing the lawn, and fertilizing. Property management Rocklin professionals know that curb appeal is very important when showing a rental property. Hire professional cleaners. It is worth the price to hire professional cleaners, rather than doing it yourself. Cleaning every nook and cranny takes a lot of time and hard work. It is usually well worth the cost, so landlord and managers can work on marketing the property, instead of scrubbing it clean. Doing your homework to make sure you are asking the correct rental price is paramount to having success when trying to fill a vacancy. Asking for a rental price that is too high can prolong your vacancy time and leave prospective tenants disappointed after walking through your house. Pricing your home too low can result is immediate occupancy, but also a lower caliber of applicants who might be less qualified financially. The best Rocklin property management teams take the time to put together market analysis reports which compare rental listings within a close proximity. These comparisons include number of bedrooms and bathrooms, square footage, amenities, proximity to transportation and commercial access, age of the home, updates on the home, and much more. If you are just starting out with market comparisons, try looking at RentOMeter to get a general idea of the average price people are asking for similar homes in your area. 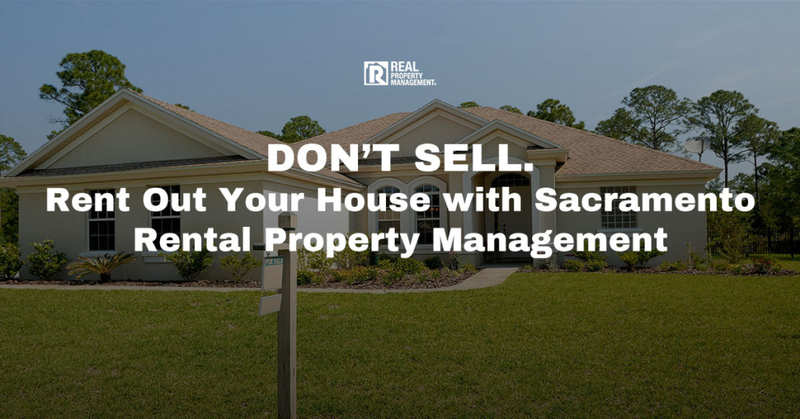 It is no surprise that investment property owners seek out SAC-METRO when looking to hire a professional management company. SAC-METRO has a reputation for filling homes will highly qualified tenants, faster than its competitors. At SAC-METRO, we take care of all the hassles of getting your home rent ready for you. Whether you just bought the property and are looking for your first tenants, or if you have owned the property for years and just received a Notice to Vacate from your renter. You’ll know you are in good hands when you choose SAC-METRO. Call us today. Spring is just around the corner meaning it is time to dust away the cobwebs and prepare for the chirping birds. With a change in weather and temperature, also comes a change to caring for your investment rental property. 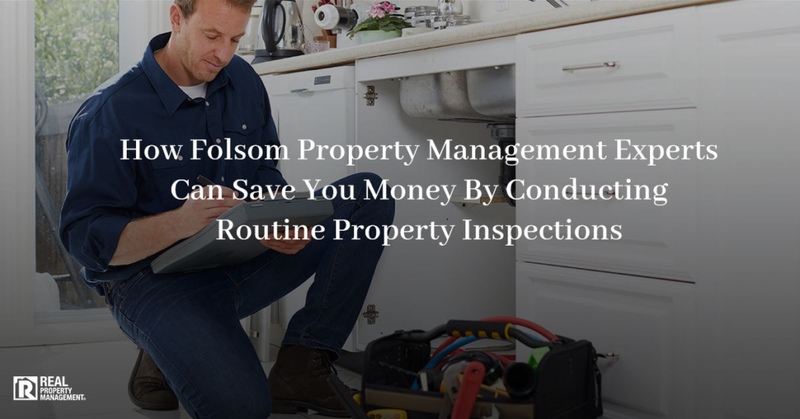 It happens annually and the best Roseville property management companies, like RPM SAC-METRO, plan ahead to make certain nothing is missed during routine springtime property inspections, and that the budget has room for proper service technicians. Here are a few points to touch on while maintaining your property and getting it ready for spring and summer. Appliance Tune Ups: perform heating, air conditioning, humidifier, dehumidifier, and ventilation tune ups on the property. As the cold winter season comes to a close, change air filters on the air conditioning units and schedule proper certified technicians to come and perform a multi-point inspection. Doing so will help prevent breakdowns and ensure that the unit performs at full capacity to cool the house. Having a cooling system that works efficiently during days where temperatures reach between the 90s and even 100 or more degrees will help Roseville property management companies keep tenants happy. Clean out humidifiers and dehumidifiers and check humidity levels in different areas around the house. General Inspection: While performing the above mentioned tasks, inspect the general condition of the property. Check the condition of the flooring, walls, general cleanliness, and take note of any lease compliance issues. Check the safety of glass shower doors, toilet seats, and test window and door locks to see that they are functioning as they should. Doing so will limit your liability. Review occupancy guidelines and pet rules. A good rule of thumb that Roseville property management teams follow when checking occupancy is to look for any signs of overcrowding within the house. Having more beds, furniture, or clothing than expected based on the lease agreement occupancy is a good sign that unauthorized tenants are living in the home. If you find this to be the case, counsel with your lawyer for a proper course of action. Check and Schedule Proper Landscaping Care: Consider aerating the lawn, reseeding, fertilizing, and pruning the trees and shrubs. Check for roots that could cause damage to your foundation or walkways and overgrown trees that could compromise your property’s security. Roseville property management teams want to remind property owners that tree branches that reach to upstairs windows may appear inviting to home intruders. Just because your property is currently occupied doesn’t mean you should ignore curb appeal. Keep your home looking attractive and inviting by planting fresh flowers if needed. You never know when your current tenants might turn in a 30 Day Notice to Vacate. Test smoke and carbon monoxide detectors: Biannual testing and inspections of smoke and carbon monoxide detectors is crucial to limiting your liability as a landlord. Many states and local governments require it be done biannually. Stay informed on your laws and codes. Change batteries if needed and reinstall any detectors that have been taken down or removed. If detectors have been removed, speak with your tenants about the safety of keeping the alarms installed. Document your conversation to remove liability. No matter how meticulously tenants take care of your property, things will break and maintenance is bound to happen. 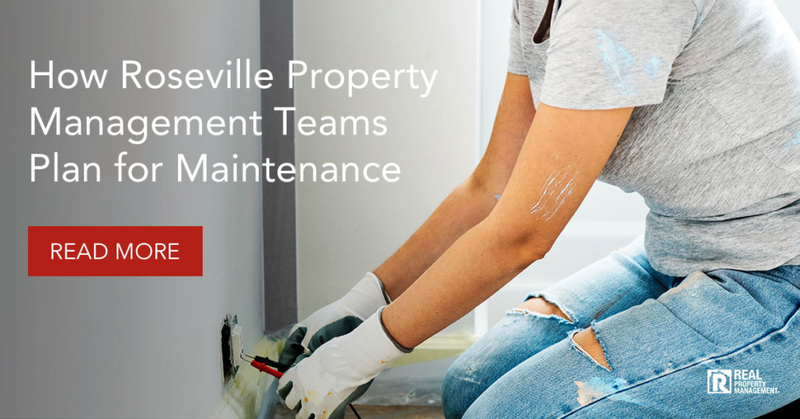 Roseville property management teams and landlords can be prepared for the maintenance requests by setting aside ten percent of rent each month. Another way to look at it is to set aside one month’s rent annually to account for maintenance. At the start of each year, take note of which appliances will be in need of replacement or repair. Remember, older homes will likely require more maintenance than new ones. The monthly ten percent rule may need to be adjusted and increased for old houses. Here are a few tips to keeping maintenance costs in check. Be Proactive: SAC-METRO remains the leaders in the Roseville property management industry because we practice what we preach and guarantee results. Following our spring and fall inspection checklists helps keep maintenance costs down and protects homeowners. As fall and winter approach, clean the rain gutters, change the air filter on the furnace, schedule a furnace tune up, and inspect roof shingles to make sure they are in good condition and will not spring a leak into your attic or ceilings. Be Responsive: When a phone call, text, or email come in from a tenant, respond quickly. Make yourself available at all times of the day or night. We know not every property owner is willing to answer maintenance calls 24/7. If you fall into this category, consider contacting a Roseville property management company to do it for you. Document how you responded to maintenance requests and hire only licensed and insured technicians to make repairs. Many investment rental property owners fear the cost of hiring a management company is too high. At SAC-METRO, our fees practically pay for themselves. We are known for having shorter than average vacancy times and for having proven processes in place to save our clients money. Roseville property management is a big task and requires a lot of time, energy, and work. Let SAC-METRO deal with the day-to-day stress while you sit back and watch your bank account get bigger each month. Call us today. Are you looking for a place to invest your money but struggling to make a decision on where to put the funds? The stock market, mutual funds, a business venture, and real estate all prove to be profitable. 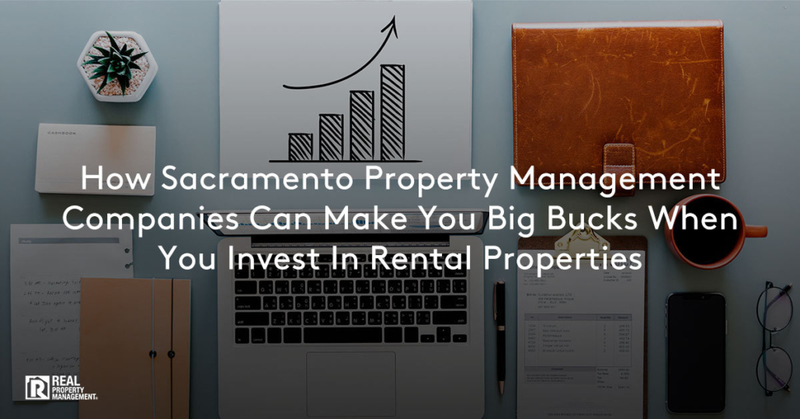 If you want to make big bucks and get a promising return on investment, property management Sacramento companies are seeing investment property owners reach their wildest financial dreams by choosing real estate. Did you know that in 2018, renters paid out more than $504 billion dollars to landlords and management companies? Yes, you read that right, billion. It greatly surpassed 2017’s amount of just $12.6 billion. If you want to get in on the action, there is still room for you. It is no secret that rising interest rates, stricter zoning and permitting, and an increase over recent years in home building materials are not only making housing unaffordable, but also scarce. As hopeful wannabe homeowners have saved money for a down payment over the years and excelled in the workforce to achieve their desired salary, their dreams of becoming a homeowner are getting crushed. And while we do not have a solution to homeownership problems, property management Sacramento company, RPM SAC-METRO is aware of a home builder that has found the light at the end of the dark tunnel. Christopher Todd Communities, LLC, built more than 450 homes in the Phoenix, Arizona, area last year. The catch is that they do not build homes for ownership, but for rental. These unique communities are horizontal apartment communities made up of single family homes. Occupants do not need to qualify for a loan with a high interest rate to get into affordable single family housing. They can rent a brand new single family home, tailored to their choice, and save the money that would otherwise go to pay interest. The concept of build-to-rent is catching on across the country. Developers find it extra attractive that they can give high quality service to their tenants because the houses are in a concentrated area. AHV Communities, LLC, is developing this same kind of community in Texas, BB Living is also developing in Phoenix, and NexMetro Communities will break ground on $300 million in projects in 2019. It is a business model that has taken off and is becoming increasingly successful amongst national companies in property management. SAC-METRO understands that individual property owners do not have the capital to build entire built-to-rent communities, but they can invest in a rental properties and see great returns with their investment due to the high demand for rental properties. According to Local Market Monitor, Sacramento made the top 25 best markets for rental properties in 2018. Sacramento has a population of more than 2.2 million people and a job growth rate of 1.8 percent annually. The research also found that Sacramento has a 4 percent population growth over a 3 year period. Owning a rental property in a community with job growth and population growth is a guaranteed way to fill a vacancy. The average home price is $348,000 which is on the higher end of the top 25 list, but still proves to be profitable with the help of experts in the property management Sacramento industry. SAC-METRO specializes in the Sacramento community and pays great attention to each property it manages. Before diving in head first, there are some things to know and consider when purchasing an investment property for the sole purpose of renting it out. Unlike purchasing an owner-occupied home, rentals require more. It is common for lenders to require a minimum down payment of 20 percent, since mortgage insurance is not available for investment properties. Rental properties typically have higher interest rates associated with them as well as different approval requirements than owner-occupied loans. If you are looking to buy an investment property, speak with a mortgage consultant to determine your requirements. Owning a rental property is a big money maker, but it also requires a lot of time, attention, expertise, and organization. 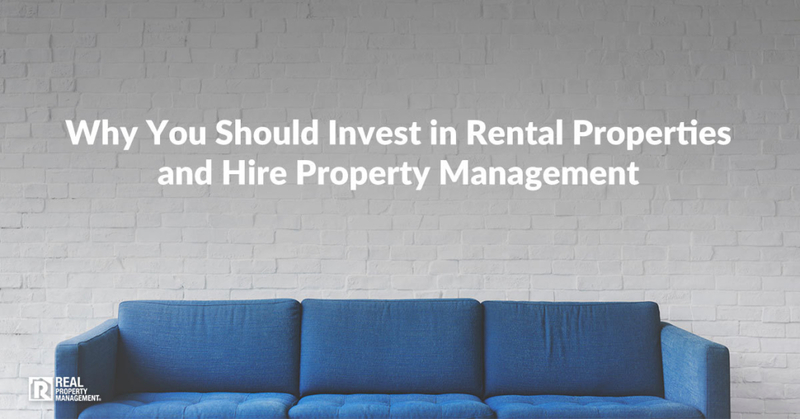 Managing a rental property without knowledge or experience has been known to land investors in hot water. When property owners need to hire someone they can trust, they call SAC-METRO. With more than 35 years of experience, we know the laws and regulations. We take care of the daily maintenance calls from tenants, scheduling of maintenance, rent collection, accounting, move ins and move outs, marketing, showings of the property, and uphold a rigorous tenant screening process. We find our clients the most qualified tenants, in record time. Get rich the easy way. Let someone else pay the mortgage and manage the property for you. 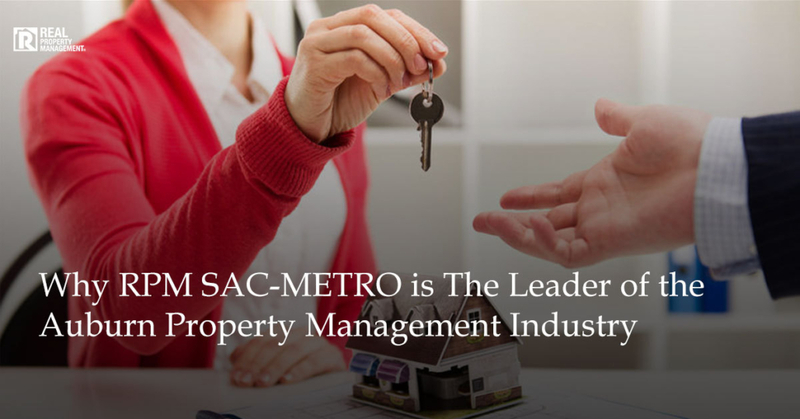 Call the top property management Sacramento company, SAC-METRO today. Navigating the waters of choosing to rent out your home or list it for sale can be difficult. There are so many options and what-ifs that present themself with either decision. There are many pros and many cons to each. It comes down to the personal decision of the homeowner determining what is best for them. Property management companies in Sacramento are seeing a large increase in the amount of properties that are listed as rentals in comparison to for sale signs. With mortgage interest rates hovering around five percent at the start of 2019, purchasing a house is becoming increasingly unaffordable. It is not a buyers market. It is a renters market. That is why choosing to list your house for rent can prove to be a very profitable choice in this economy, and here’s why. Why Is Buying a House Unaffordable? Many factors play a role in making housing affordable and unaffordable, but recent reports released at the beginning of 2019 are taking a look back at 2018 to see exactly what the market did to land the U.S. in an unaffordable housing market. Last year, unemployment nearly hit a fifty year low while the amount of job openings were high. You would think that with more citizens employed, they would have more money to spend and be purchasing houses. However, mortgage interest rates also increased putting the once affordable house, out of reach for even the well-employed. Property management companies in Sacramento know that these five percent mortgage rates may not seem high to those over the age of 40 who bought a house in the past with rates between ten and fourteen percent. But the increase between four and five percent is making all the difference for millenials. In 2018, home builders built fewer affordable new single family houses than in past years. Reports show 50,000 affordable single family homes around 1,400 square feet were built in 2018 compared to the typical 200,000 in normal years. Instead, builders have their eyes set on expensive apartment complexes and executive housing. Let’s not forget that the price of building materials, including lumber and gypsum, have also increased over recent years. Builders are also running into stiff zoning restrictions and higher permitting costs in urban areas where the affordable housing shortage is especially tight. Property management companies in Sacramento see houses listed for sale sit on the market for months without selling. All of the above mentioned reasons are to blame for this discouraging situation. Homeowners need not worry about selling their home for less than it is worth just to get it off the market. They have another choice. A choice that can result in big cash flow. Listing a home for rent in a renters market is the smart choice if you do not need the equity out of your home to purchase a new one. HotPads released a recent report showing that in 2018, renters paid a record $504.4 billion in rent compared to 2017’s whopping total of $12.6 billion. Going along with the increased amount Americans spend on rent, Pew Research Center has also found that more households are renting than at any point in the past 50 years. Sacramento property management companies not only saw an increase in the amount of people renting, but also an increase in the rental price from 2017 to 2018. San Francisco takes the cake with the highest monthly average rent price for a one bedroom apartment at $3,535. New York City falls slightly behind that at $2,895. While Sacramento might not at as high at $3,535 per month for a one bedroom, it is still very high at $1,140 per month as of January 2019. That is a 3% increase from 2017. These rent increases allows property owners the opportunity to make money despite not being able to sell their house. They will experience low vacancy rates due to the apprehension of would-be home buyers. A high demand for rentals helps drive up the rental price because of basic supply and demand economics. Not only can property owners expect to find a large pool of quality prospective tenants, but also the potential to make big bucks. Renting out your house is no easy task. 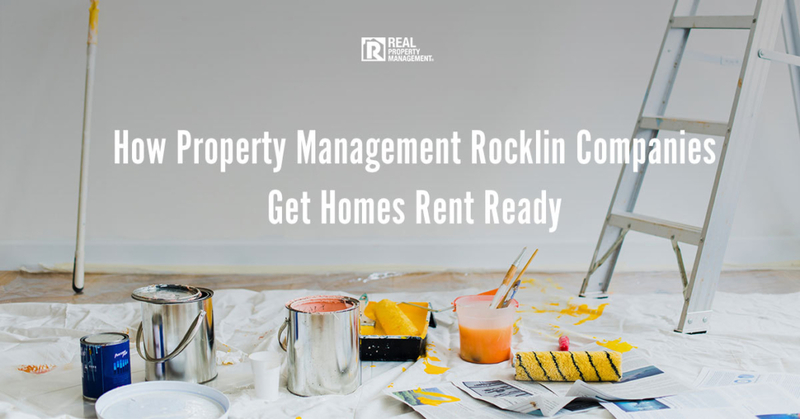 Many property owners underestimate the time, organization, stress, and overall management duties that a rental home requires. RPM SAC-METRO is the leader of property management in Sacramento and has a proven track record for over 30 years. SAC-METRO has lower vacancy rates than its competitors, while continuing to provide quality service and find highly qualified applicants. SAC-METRO handles everything for property owners including conducting market research to ensure you get top dollar in rent, marketing the house, showing the house, conducting a rigorous tenant screening process, signing lease agreements, handling and scheduling of maintenance, rent collection, property inspections, move-outs, and turnovers. We know you have a choice from many different property management companies. Don’t make the mistake of hiring the wrong property management company. Sacramento is where all your rental investment dreams become reality. Call SAC-METRO today.